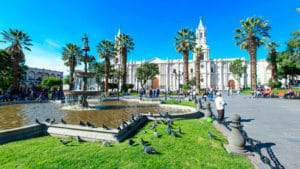 Peru is a land best known for its ancient culture, heritage, and, more recently, its gastronomy. Information about these aspects of the country can be found everywhere, but what about the questions you have surrounding your trek adventure into the mystical Andes? 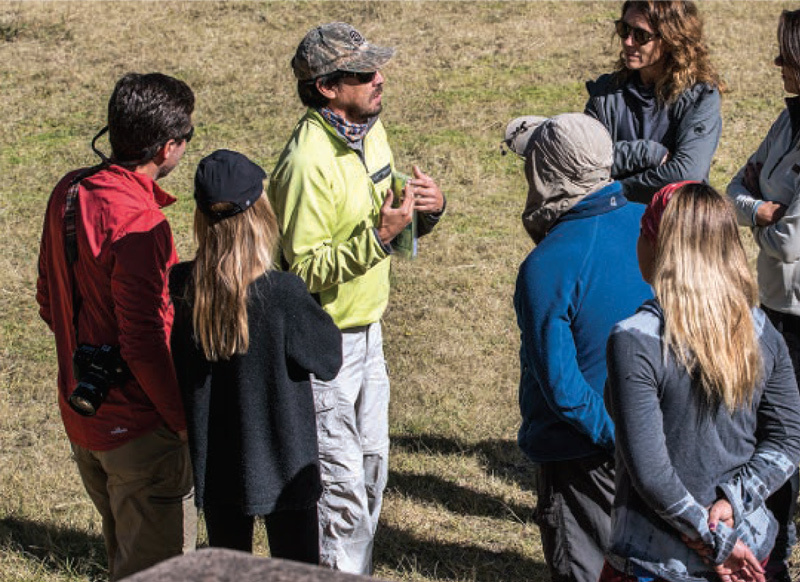 In this brief document, we’ll explain how we at Explorandes have been doing our treks since 1975, including the efforts we have made to incorporate sustainability into our operations and through our relationships with the local communities. Most of the Explorandes Guides are locals who have been trekking with us for years. They usually start their careers as cook assistants, cooks and/or guide assistants. When we think they have enough experience, we let them start guiding groups by themselves. In order to do that, they have to pass rigorous tests where they have to make use of their wilderness and first aid training. We have the official guide training at the start of the season (February) each year. There, we make sure that their knowledge is fresh and up-to-date with all of the latest updates on first aid, evacuation procedures and the destinations they’ll be taking you to. We hold a training once a year in the communities to ensure that they understand the importance of not only respecting the environment while working with us, but how and why to respect nature and practice conservation. We teach them how to compost, bring clean energy into their homes, reforest, and the importance of continuing to take care of the natural environment that our ancestors left to us. Besides providing pack animals and serving as porters on our treks, it’s the local communities from which we directly purchase all of the food for our treks. This is our way of supporting the local economy and ensuring that the farmer receives a fair price for their products, as well reducing our carbon footprint. This also means that the food we use to prepare every meal on a trek is guaranteed organic and pesticide-free. For us, our porters and animal drivers are the most valuable link in the chain. 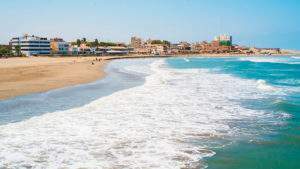 That´s why we want to help them to continue working in tourism so that they can make extra money from their farms while also feeling comfortable with the tough job that they’re asked to do. We want them to know that we really appreciate their hard work. Many of our cooks have more than 10 years of experience providing wholesome meals for our travelers. They are prepared to supply different menus for different dietary restrictions, including vegetarian and gluten-free menus. Please do not forget to let us know if you have any food allergies so that we can advise our kitchen crew in advance and make sure that you’re well fed throughout your trek with us. 2.a What equipment will and will not be provided by Explorandes on the treks? We always make sure to have the best equipment on our treks. 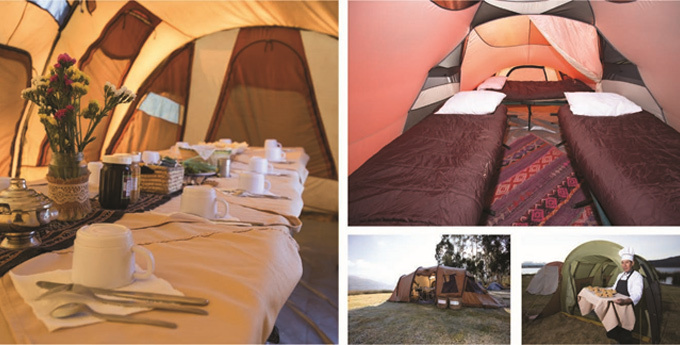 On the basic trek, you will always find sleeping tents (double occupancy) with Thermarest sleeping mats, dining tents (with tables, stools and dining tools), cooking tents (where our staff will prepare your delicous meals). We usually work with 4-season tents to ensure that you stay warm and dry in the event of any weather complications. The brands that Explorandes has worked with for many years are Eureka and Big Agnes. We have different sleeping bags depending on what trek we operate. We make sure that the sleeping bag provided during the trek is the right one so that you can stay warm all night. The brand that Explorandes has worked with for many years is Mountain Hardware. We will provide Thermarest sleeping mats to you on the trail. If walking poles are needed, please always inform the guide on your briefing day. If you are taking a private service, you can ask your travel advisor for the price to upgrade any equipment. This upgrade involves sleeping cots, hot shower tents and a professional chef). We call it comfort trekking. 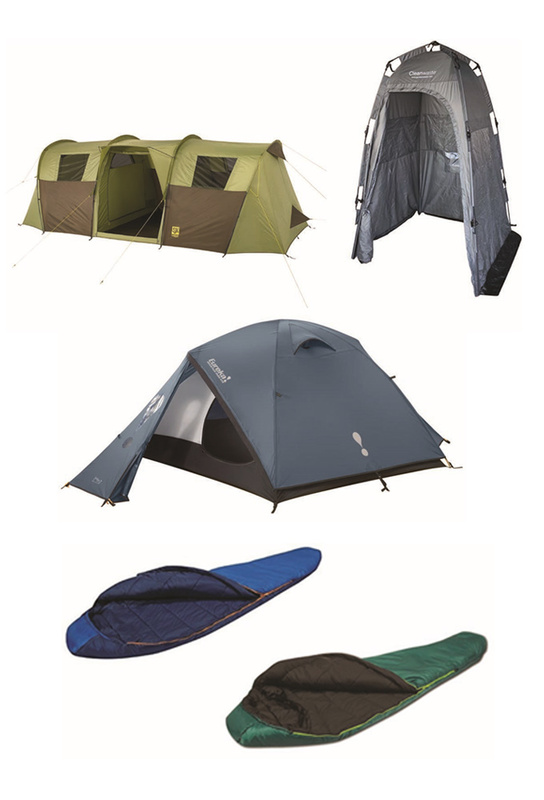 Here a small list of things that we do not provide and recommend that you bring to the trek to minimize any risk. *Note: If you bring something that requires batteries, we ask that you take them back to your country. Peru does not have a plant to treat empty batteries and they often end up in the trash somewhere, contaminating land and rivers. At Explorandes, we make sure that you stay fit and well fed during the trek. 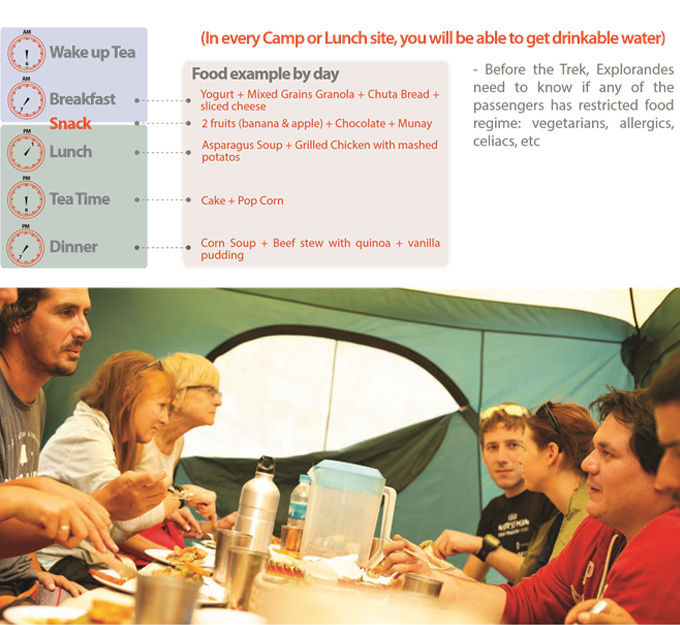 That´s why we usually have different menus for different treks. 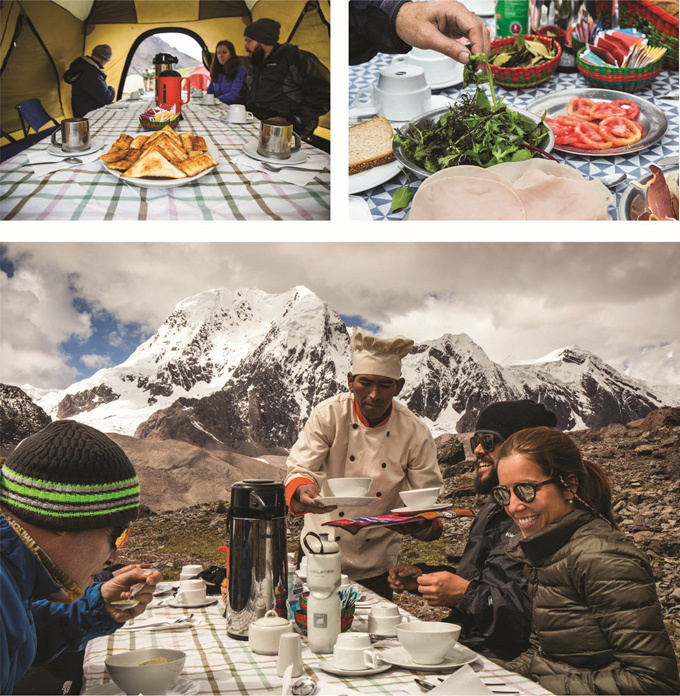 We want you to have the right energy for your trek. We provide breakfast, mid-morning lunch, lunch, tea time and dinner. We serve local and organic products. In this way, we help the economy of the communities we work with while also making sure that we have the best quality food on the trek. Note: In the case that you are a vegetarian, celiac or allergic to any specific food, please let your destination specialist know when you book so that we can have a special menu prepared for you. During the Trek: Explorandes has spotted all of our water sources. From there, we boil the water to remove all bacteria and do a double check as we filter them with our proper filters. The filters we use are a Platypus gravity water filter system. How many kilograms are we allowed to carry on the trail? In all of our treks, pack animals or porters will be carrying your luggage, sleeping bag and all other equipment you will need during the trek. You will only need to carry your own daypack filled with any equipment you may need as you walk, like water, a headlamp, jacket, snacks, camera, etc. The maximum weight carried by our pack animals on a regular trek is a total of 10 kg. 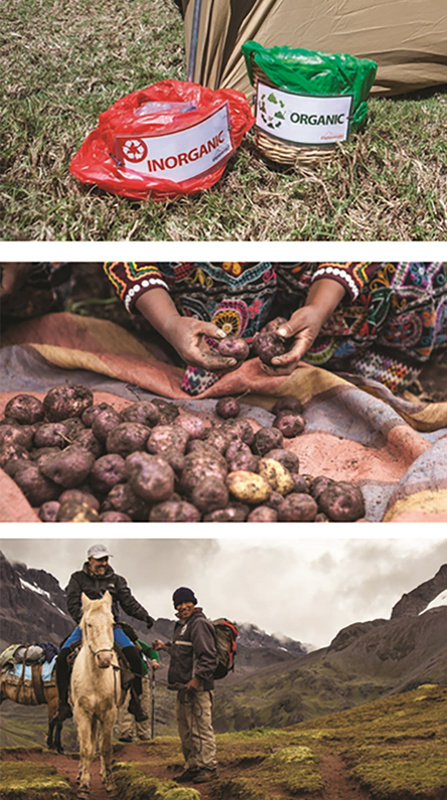 If you are trekking the Inca Trail, the maximum weight that our porters can carry is 8 kg. We have these weight limitations because we want to make sure that our porters are not carrying too much weight. If you have coordinated it in advance, Explorandes can supply duffle bags that have the capacity to carry 8 kg. The Explorandes team will make sure that the luggage our porters or pack animals carry keeps dry throughout the trek. However, we always recommend that you take some dry bags for your daypack. Pre-Acclimatization Days: As everyone reacts differently to altitude, the best indication of how high altitudes will affect you is your previous reaction to high altitude. 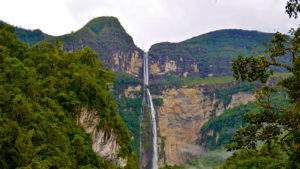 For this reason, all hiking-intensive itineraries include at least 2 days of acclimatization before beginning your hike. This allows for some amount of acclimatization and an opportunity to see how you will feel while hiking. Most visitors experience mild altitude symptoms such as fatigue, headache, trouble sleeping, or light-headedness during their first day or two at elevation. Please ask our destination specialist for advice on our pre-days tours before the trek. A detailed emergency and evacuation plan for each route, to include every possible evacuation route for each day of the trek. An oximeter. The guide will use it when he thinks it is necessary, not by the request of the traveler. Once you book any of our treks, our destination specialist or staff will ask about your insurance information. Please remember that Explorandes is not responsible for any expenses that the hospitals may charge to travelers in the case of an evacuation. We make them part of our supply chain: Apart from tourism, our ground staff make a living from agriculture. That’s why we try to buy most of their products and prepare it in meals on our treks or picnics. That way we support their local economy by paying them a fair price. We encourage them to grow: One successful story is that of Nephtali Ormachea. He first started as cook assistant, then cook, then as a guide assistant, and is now one of our most popular guides. Like Nephtali, a lot of our guides started from the bottom and advanced to become outstanding guides. The job has meant that they must learn different languages, historical facts, wilderness and first-aid response certifications and worldwide cultures in order to become the world-class guide that they are. Giving back to local communities: We teach our ground staff the importance of being sustainable. Not only while they work with us, but in their day-to-day activities, like how to compost their waste, recycle, and use clean energy like solar panels. Garbage treatment: In all of our treks, we separate the organic and non-organic waste generated by all of our travelers and staff. The organic waste we take back to a compost pit and then our staff uses it as fertilizer on their lands. The non-organic waste is taken back to Cusco to be treated at recycling factories. Human Waste: We use porta potties (bathroom tents) in order to control the waste of our passengers. Once we pick up the camp, we neutralize the waste with special ashes that turn the human waste into fertilizer for the ground. About Energy: All of the energy that we use on the trek is supplied by transportable solar panels that allow us to recharge the light and all of the instruments we need. We always try to reduce the use of batteries by using rechargeable headlamps. If you happen to bring batteries, please do not throw them away in Peru, as we don’t have battery treatment factories. We strongly suggest that you take them back to your country to a battery recycling factory as, if not properly disposed of, they will contribute significantly to pollution. Carbon Footprint: We try to minimize all possible impacts that we may generate from our trekking trips (supplies, energy, walking impact, etc.). However, we do still find that some of our impact cannot be reduced, such as vehicle transportation. That´s why we offer some alternatives to offset our carbon footprint. Ask us about our Regenera initiatives where you can offset your impact by buying carbon bonds. 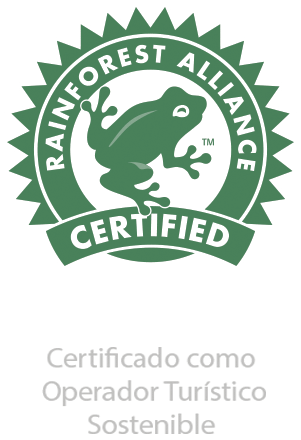 We will give you an estimate of your total contribution and help you minimize your carbon footprint for your entire trip. 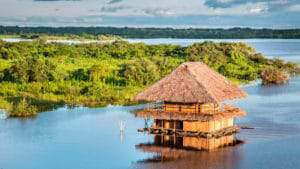 It is very important for us to have responsible travelers, people who really want to travel for a purpose and who look forward to taking care of nature in the same way that the ancient cultures have been doing it for more than 500 years. Promoting responsible and conscious travel is one of Explorandes’ biggest goals, as is helping visitors realize how important it is to show all the communities around the areas we visit that sustainable tourism and the importance of making it a habit in their day-to-day lives is the biggest step to a greater future. Explorandes was the first tour operator to walk the Inca Trail, Choquequirao and many more routes in the Huaraz and Cusco regions. 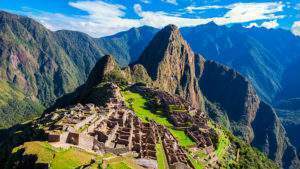 Permits on the Classic Inca Trail may run out pretty quick. If you do not find any permits available, ask us about our trekking options. Most of our treks can be done by joining a group of people or on a private basis. Ask our destination specialists about the different options for the type of trip you are planning.  Don´t forget we are specialists in preparing tours to Peru. Ask us about any other destination and activities to help you plan all of your trip. Our travel advisors are prepared to help you make the most out of your trip.